I have been thinking a lot about creating calm and mindfulness in BookBairn and The Wee Page Turner and of course we have come across lots of books to support developing this mindset. The Wee Page Turner mastering a handstand. 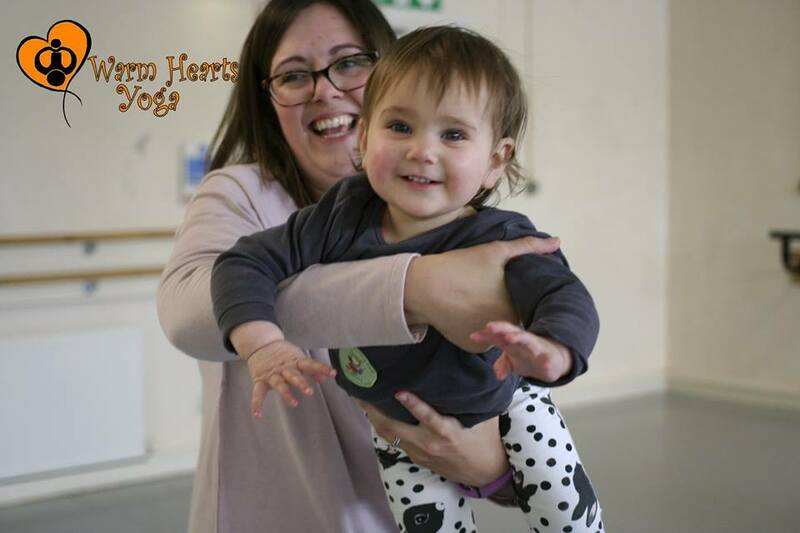 Before I share those books with you I just wanted to give a special thanks to Sarah from Warm Hearts Yoga who has helped to nurture and support both my bairns since they were babies. 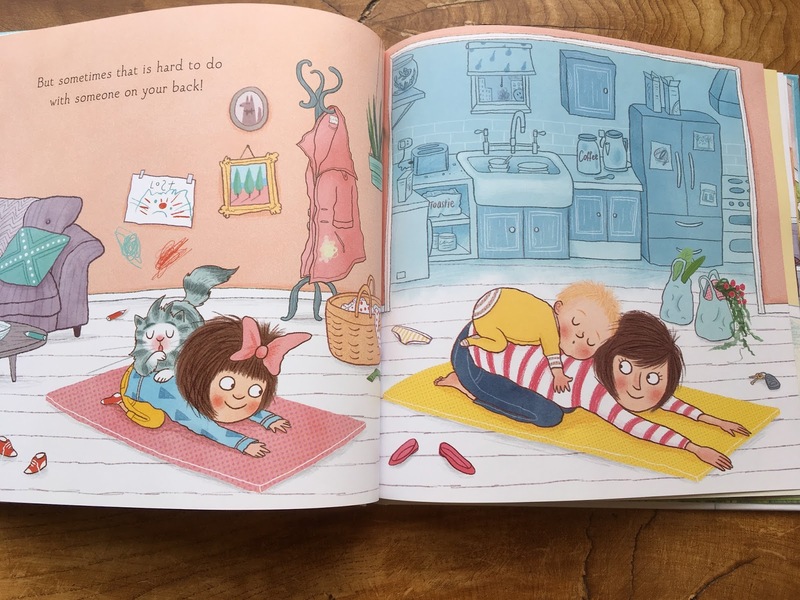 BookBairn started baby yoga at Warm Hearts Yoga (our local baby yoga class) when she was around three months old and we went once a week until The Wee Page Turner was born when we switched to a monthly class which she still loves. The Wee Page Turner started at a similar age and has now progressed on to yoga tots. Both my children and myself love this yoga group, Sarah tailors and adapts the class as she picks up on the needs of babies and mums and they both come home and practise their yoga moves (downward dog has always been a favourite). They both giggled with delight at the parachute rainbow at the end and have learned to lie calmly for the meditation part at the end. But the classes have also shown me some lovely ways to play and sing with my babies at home, which is hard as a new mum when you don't really know what to do. And some of the songs are still favourites and we sing them daily. 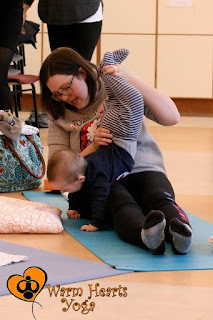 If you live locally you should check out Warm Hearts Yoga for babies to school aged children, and if you don't you should look and see if there's a baby or kids yoga class near you. Baby BookBairn was super bendy! This is a lovely calming story, well more of a meditation in the form of a book than a story to be honest. It begins "When I feel small in a world so big ... I close my eyes and make room in my mind, in my heart, to create and imagine." It reminds your child to calm their body, quiet their mind, slow their breath. And it beautifully lists a series of positive affirmations for you little one: they sparkle like the stars, feel love, are playful, light up the night. All accompanied by a soothing illustration of a child in a yoga pose. This is a lovely book to read together at the end of a busy day. Or perhaps as the day begins to remind little ones of all those lovely affirmations. A beautiful empowering and calming book to help your little ones be more mindful of their own strengths and create calmness. Firstly, the charm of this book is in the illustrations! They are truly adorable. There are all sorts of different babies, toddlers and children in the scenes - from all shapes, sizes and colours, it's hard to think that your child wouldn't see themselves somewhere in this book and that makes it pretty magical. The colour palette used is soft but bright, soothing and enriching and the illustrations are full of delightful little details. The story is a lovely rhyme sharing the benefits and fun that you can have doing yoga and reads aloud very nicely. BookBairn enjoys reading this one as she recognises that the children are doing yoga "like me mummy!". This is a great little book that will encourage an enjoyment of yoga and makes a great bedtime story! looks like he is happily asleep on his mother's back - this would never happen. This is a wonderful story that will start your child on an adventure into mindfulness, exploring self-soothing, emotional regulation and empathy for others. It tells the story of Jack, a little boy whose body and mind are constantly on the go. His mind is sometimes a loud buzzing mess of questions, worries, adventures and he finds it all a bit crowded and overwhelming. He's about to meltdown, temper tantrum, whatever phrase you prefer - he isn't coping. His dad shows him how to take deep breaths and, as you read, your child can join in too.The book shows Jack returning to a state of calm, and enjoying his world a little more. He then passes on the skill of this mind hug to his friends. This is a lovely story that will help children see the benefits of mindfulness as well as begin to practise some of the skills. The illustrations use colour to perfection - changing as Jack's mood changes. This one is a little longer and aimed at BookBairn's age and above, I'd say she is just at the right stage to start this book but your child will need to be practised at sitting for a slightly longer story to really benefit from this one. It has a great guide for parents on the first page helping you to understand mindfulness and how to effectively use the story. This is a great book to start with to help your child explore mindfulness and support the development of positive mental health tools at an early age. "All children - no matter what age - delight in hearing about their parents' love for them." This book is designed to share this love through short stories for sharing together in a series of meditations. I’ll be honest I thought this book would be a bit too whimsical to actually put into practice but with a few attempts BookBairn has mastered the staying still, being quiet and becoming calm. 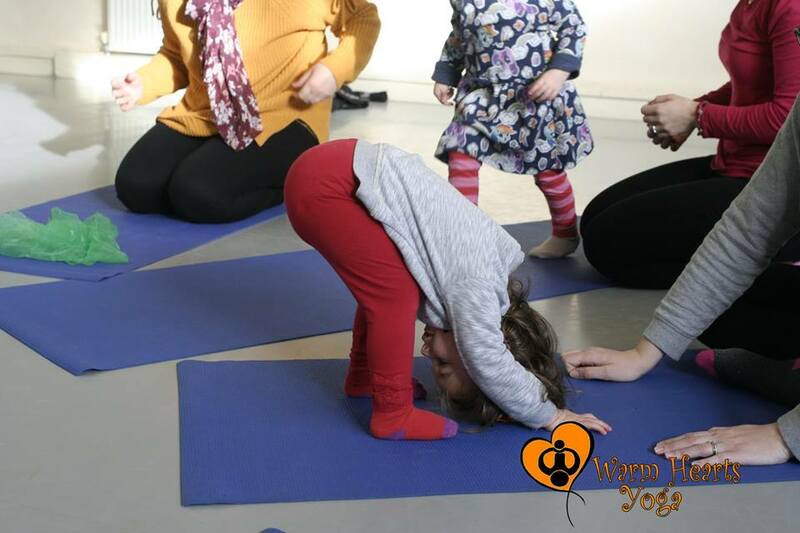 She is used to doing this at the end of her yoga sessions so that has probably helped and as much as she is a busy child she has quite a good attention span and focus for her age. This book has four stories - we have only done the first couple on repeat at the moment as I think that’s probably the easiest way to begin and they are lovely! Filling your child’s heart with love is surely the most important role of a parent and this is a wonderful way to do that together. (The book also claims to help at bedtime “working miracles” but we don’t have any issues with bedtime so I haven’t used it then. But the way it calms her wee busy body and mind I wouldn’t be surprised!) The first story guides your child into filling their heart with love and the latter stories will help them learn to send and receive love and the second is about sending and sharing love. BookBairn certainly loves to hear how much she is loved and often tells us how much she loves us too which is so heartwarming and fulfilling. The final two stories, which we are yet to explore, share the idea with you child that you love them and constantly hold them in your thoughts and heart even when you are not together and the final story is about creating empathy for people around the world that we do not know but can share your hearts with too. This style of reading is new to BookBairn as she usually read picture books but she has also loves audiobooks so is getting better at hearing stories read aloud without a visual to follow along. 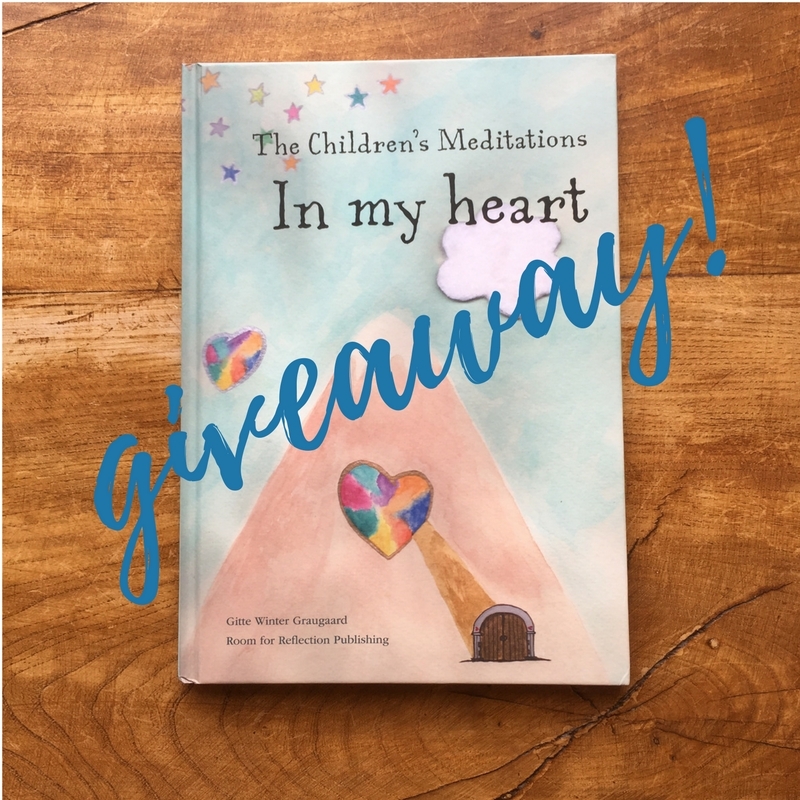 This book is a great guide into meditation with your child, but a word of caution would be to remember that it is a skill that your child won't learn overnight, it will take practise. But it's worth it as it creates a magical journey to take together. 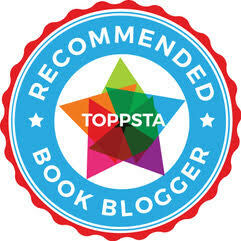 Check out the bottom of the blog for how to win a copy of your own. This is such a vibrant and joyful story about a little girl, Kaya, who is searching for her heart song. When she sees her mother meditating and hears her happy humming song, Kaya asks her mother if she is singing. Her mother tells her that it's her heart song and if you can find your heart song then anything is possible, setting Kaya off on a journey of self-discovery and self-belief. Deep in the jungle Kaya calms her mind and quietens her body and she soon hears the rhythm of her heart and discovers along with it a magical elephant carousel on which she and her friends can play. She then shows her friends how to find heart songs of their very own. A whimsical tale that is breathtakingly illustrated this is a lovely story that will create a lovely sense of calm as you read. We had been looking for a lovely ABC book and this one is just wonderful! It pairs each letter of the alphabet with a word that teaches children about mindfulness principles like compassion, empathy, gratitude and kindness. The illustrations are bright and playful and the rhyming phrases on each page make it lovely to read aloud too! I particularly like the illustrations that match each word - they have been very carefully considered. For example, joy is depicted as a child running with a kite trailing behind and the accompanying text says to find joy in the little things all around you. This is something children are so much better at doing than us grown ups and I loved this timely reminder to stop and enjoy. With lots of connections to nature in the illustrations you will want to take this book outdoors (when Spring finally arrives) and appreciate the natural world around you - something that is strongly connected to mindfulness and positive health and wellbeing for children. There are so many things you can talk about with this book but I love that it has taken an ABC format and turned it into something so much more meaningful, powerful and enjoyable. I hope you have found in this collection of books something that will help you create a calm and mindful story for you and your little readers. DISCLAIMER: Most of these books were sent to us from the publishers for review (Yoga Babies we borrowed from the library). Our words and opinions are, as always, our own. Great set of books on an interesting subject. Downie Dog is my favourite too. I love watching both bairn’s doing it. My excursion into yoga lasted 5 minutes on the Wii board when I fell off doing the Tree!